The Magic of Recluce by L.E. Modesitt, Jr.
Tyrannosaurus Lex by Rod L. Evans, Ph.D.
And now, here are the second annual Robbie Awards! I'm a critic, kind of. In my critical opinion, the best book on the above list, in terms of overall literary merit, is The Summer Tree by Guy Gavriel Kay. I'm a person, too. My favorite book on the above list, for pure fun and popular appeal, is Mistborn (The Final Empire) by Brandon Sanderson. 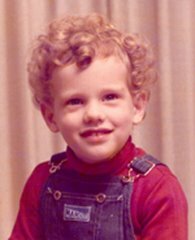 The kid in me is alive and kicking, though 14 years have passed since I could say I was "31 on the outside and 13 on the inside." It is no accident many of my reading choices have been books packaged for teen and pre-teen readers. I just like the straightforward, good storytelling of books in this category. In a narrow victory, the book that most deeply touched the forever-young piece of my heart this year was Dead End in Norvelt by Jack Gantos. A few of my book reviews this year were based on pre-publication proofs. Of a small handful of books I read this year before they were released, three were by N.D. Wilson. The best among them, and I think the best overall, was The Door Before. I don't limit my reading to new releases, however. This past year, I reckon the "oldie" I most enjoyed rediscovering was The Grand Sophy by Georgette Heyer, published 1950. Not her first book, it was, however, the first of her books I read, and it brought to life a captivating reconstruction of the Regency period that I hope to explore again. Some of my favorite reading experiences have gone in through my ears, rather than my eyes. Deserving special recognition for going far beyond the call of duty (i.e., keeping me sane during long road trips) is this year's winner, a 32-disk, unabridged edition of Reamde by Neal Stephenson, read by Malcolm Hillgartner. I know people who seek out non-fiction books for entertainment. Somehow, in spite of having stumbled on many non-fiction books that were a pleasure to read, I still feel surprised when it happens again. This year, to compound my surprise, I've been forced to call a tie in this category, between Grammar Snobs Are Great Big Meanies by June Casagrande and Mindhunter by John Douglas & Mark Olshaker. Both are valuable, informative works of fact. But at the same time, Casagrande's is one of the funniest, and Douglas & Olshaker's one of the chillingest, books I read in 2017. I had a moment of panic when I saw this category coming up, and the thought struck me that I might have to hand this award to Ian Rankin (for The Naming of the Dead), based on my theory that the American edition dialed back the author's Edinburgh idiom. But then I remembered The Snowman by Jo Nesbø, and all was right in the world. Either of them would deserve an award, and not just as a "by default" winner, because of their excellent quality as revivals of the hardboiled genre I love. But on technical grounds, the Nesbø wins. Once again proving that good things can come in small packages, the best book I read this year that didn't quite measure up to novel length was undoubtedly Daisy Miller by Henry James. There are so many "honorable mentions" I would like to list - such as Uprooted by Naomi Novik and Seraphina by Rachel Hartman - that I wish I could add more categories, just to permit me to bestow awards on them. 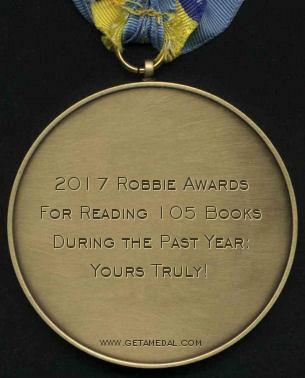 But my awards aren't really worth anything, except to gather up all my wonderful reading experiences of the past year in one last attempt to provide sound advice to anyone who needs help choosing a book to read. Maybe next year, I'll roll out genre awards or something. But for now, may 2018 be a bountiful year for books!